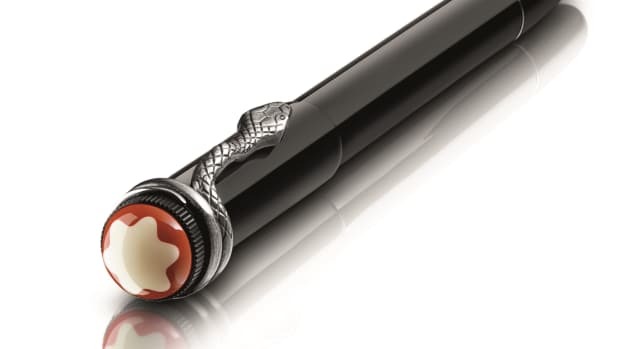 Quite possibly the coolest pen available...Sorry, Montblanc. 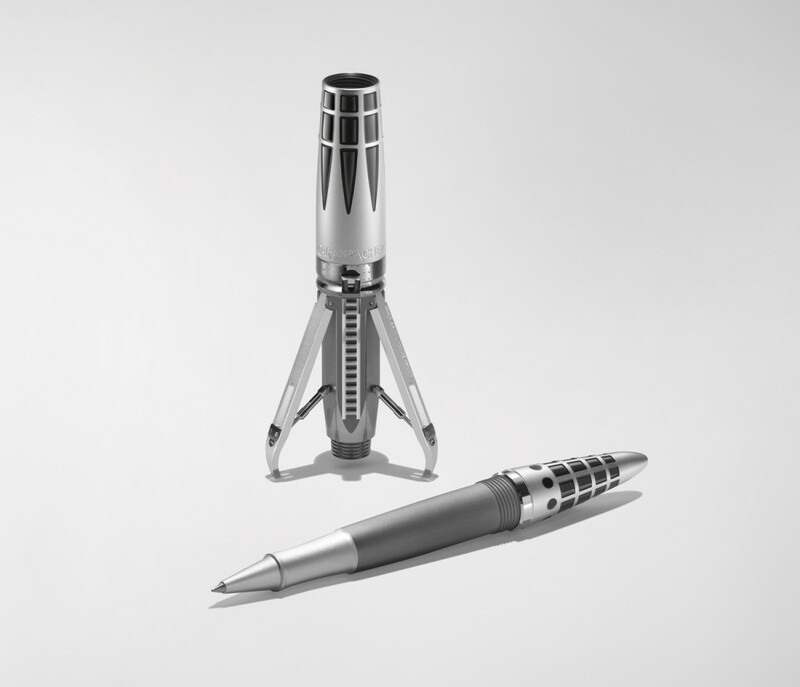 MB&F is taking fine pens to the next level with what is definitely one of the most over-engineered, complex writing instruments available. 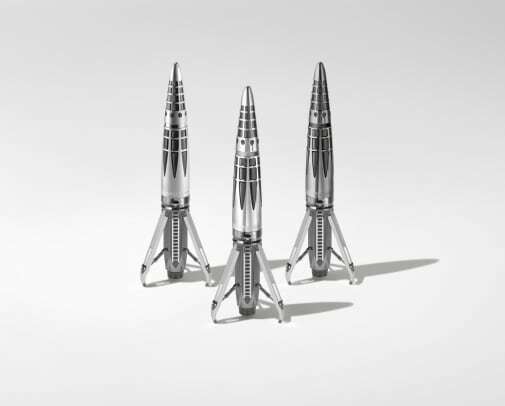 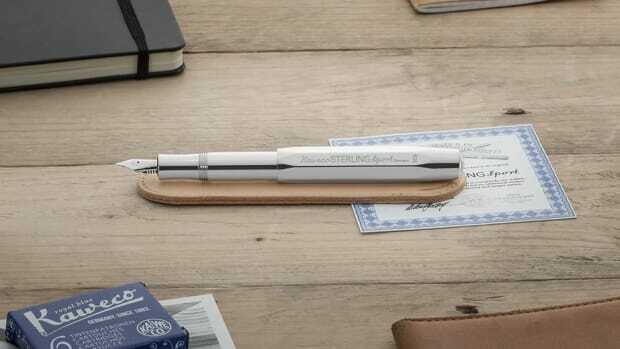 The Astrograph features a barrel that doubles as a rocket and even has mechanical landing gear that extends to create a pen stand. 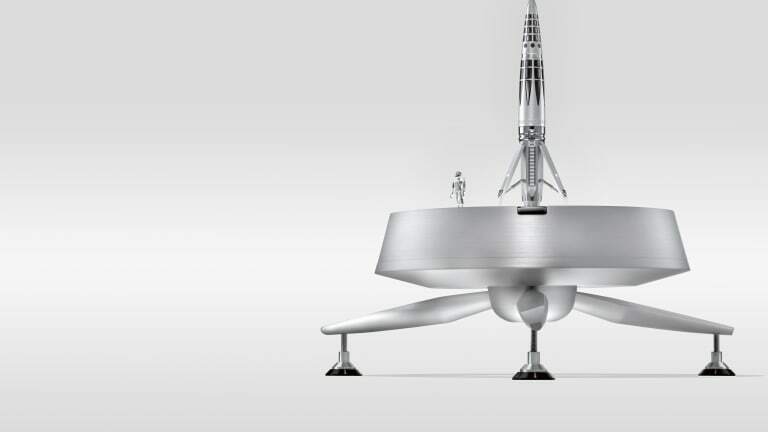 It also has its own landing pad and a miniature astronaut that magnetically attaches to the pen body. 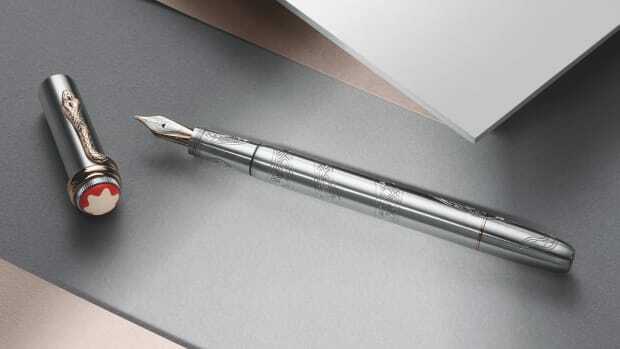 The pen itself can be fitted with a roller cartridge or a fountain pen nib and will be available in three finishes: high gloss rhodium, sandblasted matte rhodium, and a ruthenium anthracite finish.